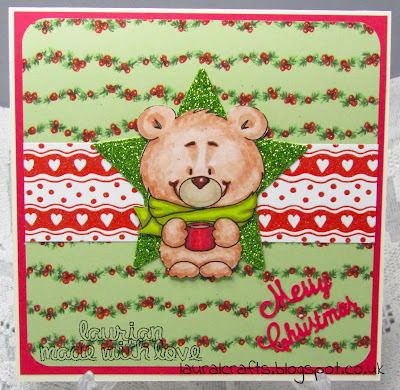 Outside the Box: A Cute Bear and a Rocking Santa! A Cute Bear and a Rocking Santa! 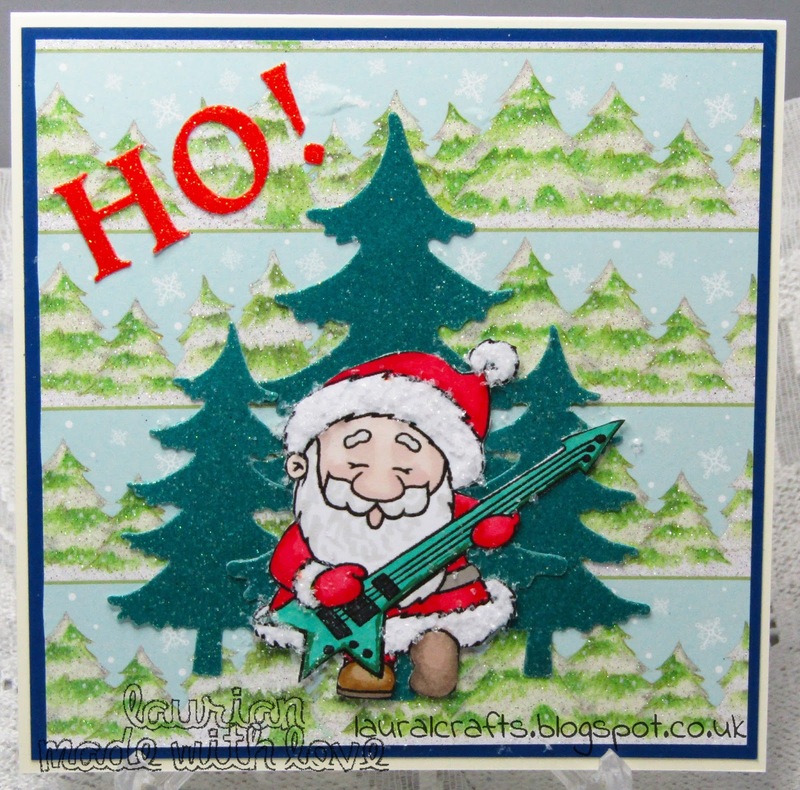 The image was coloured with Promarkers and I used some green glitter card to die cut the star, then it has been layered onto some Night Before Christmas papers from Docrafts, the sentiment is a die cut from Crafters Companion. Image coloured with Promarkers, the background paper is another from Docraft and the trees were die cut in green glitter card, sentiment is a Spellbinders alphabet die. Why not join in Gerda's progressive and sign up for her newsletter and you too will get some lovely freebies like this one! Both of your cards are just too cute!!!! Love both of your creations - I "must" get in the Christmas crafting mood - she has so many cute Christmas creations. Tree Hugs at Dragonfly Dreams!